Mike Church narrates and SiriusXM Patriot’s Andrew Wilkow offers the voice of Luther Martin in this must have drama for any originalist! 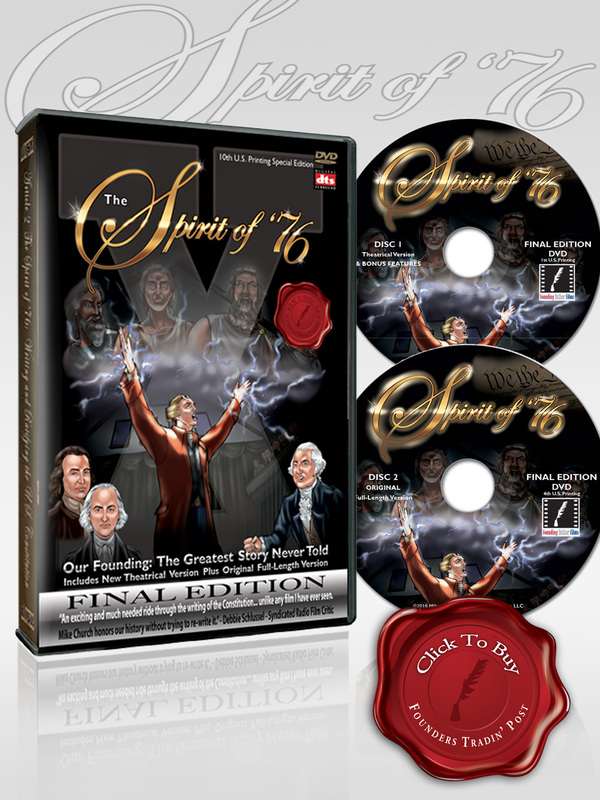 The Spirit of ’76 is the legendary, animated feature film that tells the actual story of what happened inside Independence Hall in the summer of 1787, that produced the U.S Constitution AND then takes you inside Virginia’s Ratifying Convention. NO feature, audio, video or other has ever dramatized the ratification struggle between Federalists led by James Madison and “Anti-Federalists” led by Patrick Henry, but the Spirit of ’76 does…in spades! Mike Church narrates and SiriusXM Patriot’s Andrew Wilkow offers the voice of Luther Martin in this must have drama for any originalist! There were only 10 copies ever signed by Church and Wilkow together, you have a chance to own one of them, bid now!